Berlin’s Boy Scout Troop 48, founded in 1964, has one of the most active Scout programs in South Jersey. 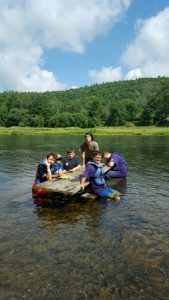 For the last fifty-four years, the Troop has centered around our monthly camping trips: canoeing the Wading River, hiking the Delaware Water Gap, whitewater rafting in the Poconos, or exploring the battlefields at Gettysburg and Antietam, just to name a few. Snack break on the Delaware – 2017. Each summer, Troop 48 goes on a week long adventure, most recently, in 2018, we camped by the ocean in Acadia National Park in lovely Maine! Where will we be heading in 2019!? 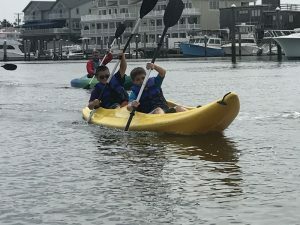 In addition to camping and high adventure trips, Troop 48 strives to have our young men develop leadership abilities, teamwork, outdoor skills, and good citizenship, all in accordance with the principles of Scouting. Along the way, the Scouts have awesome adventures and a ton of fun. 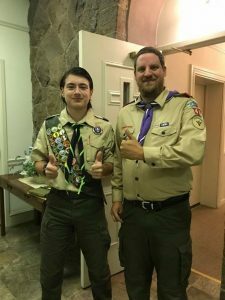 Eagle Scout #122 – Good job Vinny! We are proud to have had one-hundred and twenty-five of our Scouts attain the rank of Eagle Scout, Scouting’s highest honor. Troop 48 draws its members from Berlin Borough, Berlin Township, Voorhees, Atco, Pine Hill, Sicklerville, and the surrounding area, but Scouts have traveled from as far as Mullica Hill, NJ and Newark, DE to be part of Troop 48. We meet each Wednesday night from 7 pm until 8:30 pm at the shed behind Holy Communion Lutheran Church (442 South Route 73 in Berlin, NJ, directly across from the Wawa gas station). Want to join? Check out our conveniently named “Want to Join?” section!